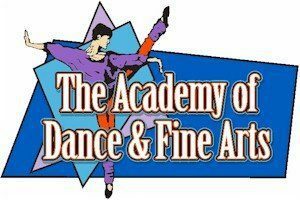 The Academy of Dance and Fine Arts (ADFA) was founded in 1977 by Karen Brown Deese. We offer training in all styles of dance to competitive and non-competitive students. The 9,000 square foot facility enables us to provide instruction in voice, piano, guitar, ballroom, PiYo, Barre, Cardio/Strength Fusion, and Aerial Skills. ADFA recently partnered with Risen Christ Lutheran Church School and has implemented a Pre Professional Program for those wanting to pursue a career in dance. Our first priority is that the students receive the knowledge of dance techniques and styles, as well as, the emotional qualities and confidence to perform and develop a high self-esteem. At ADFA, we always display and expect: hard work, respect, and self-discipline. Our goal is to instill qualities in our students that will help them to develop a love for dance, an appreciation of the arts, and succeed in any career they may choose.